Today I have a free download of a vector t-shirt template for you! This template includes full size (front & back) drawings of a men's large t-shirt, perfect for sizing your art for screen printing. There is also an area to specify ink colors. You can download the free vector t-shirt template here. 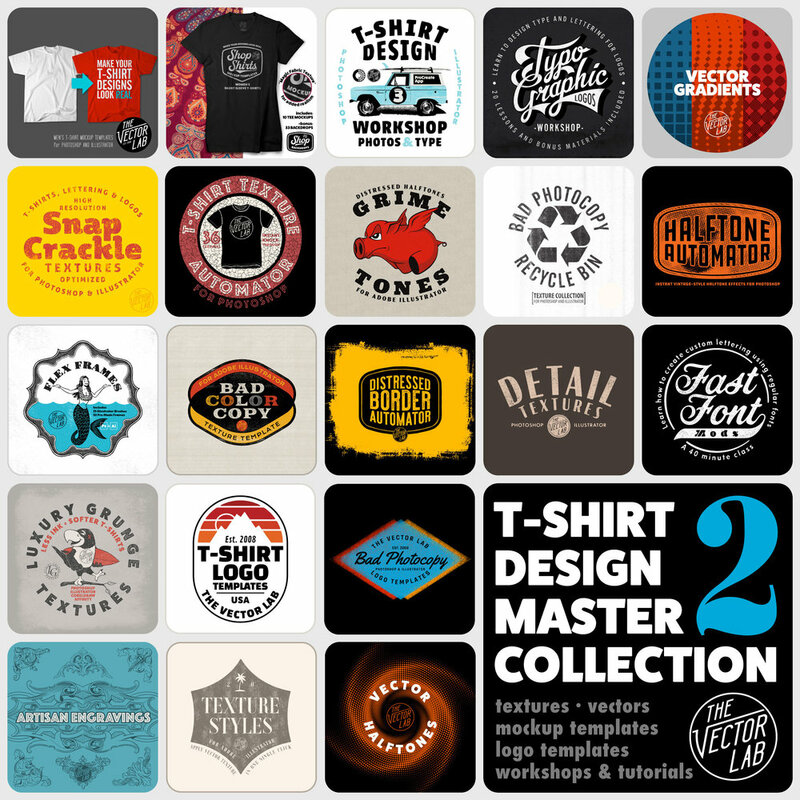 If you are interested in designing t-shirts, have a look at my T-Shirt Design Workshop 2 - because you should never stop learning!